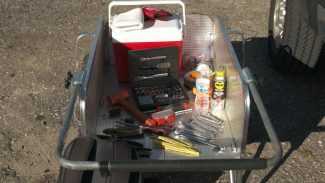 If you’re going to restore a classic car or just maintain one, you’re going to need some basic shop tools to get started. Mark Simpson discusses the car restoration tools you need to get started and some helpful advice for selecting the “right” tools. A sheet metal shrinker/stretcher is perfect for any type of metal fabrication you need for your classic car, and it keeps the metal completely flat (without crimps). Mark Oja gives a brief demonstration on how the stretcher works and then shows you an example of a finished product. 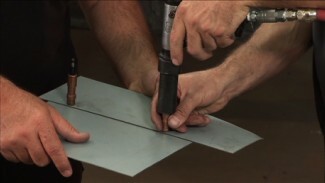 Mark Oja demonstrates how easy it is to install and remove the Cleco, a tool that most classic car maintenance professionals use to easily and effectively joint sheet metal panels on their cars.